Japan’s first geothermal power generation of 1.12 kW was experimentally performed in Beppu, Oita Prefecture, Kyushuin 1925. The practical use of geothermal power commenced in 1966, with the installation of the first plant, the Matsukawa Geothermal Power Plant of 9.5 MWe (23.5 MWe at present and sustainably working for 44 years), Iwate Prefecture, in northern Honshu. Japan, as a volcanic country, is blessed with potential geothermal resources for development. However, the construction of geothermal power plants has been restricted due to factors such as the restrictions in National Parks and huge numbers of hot spring resort areas. 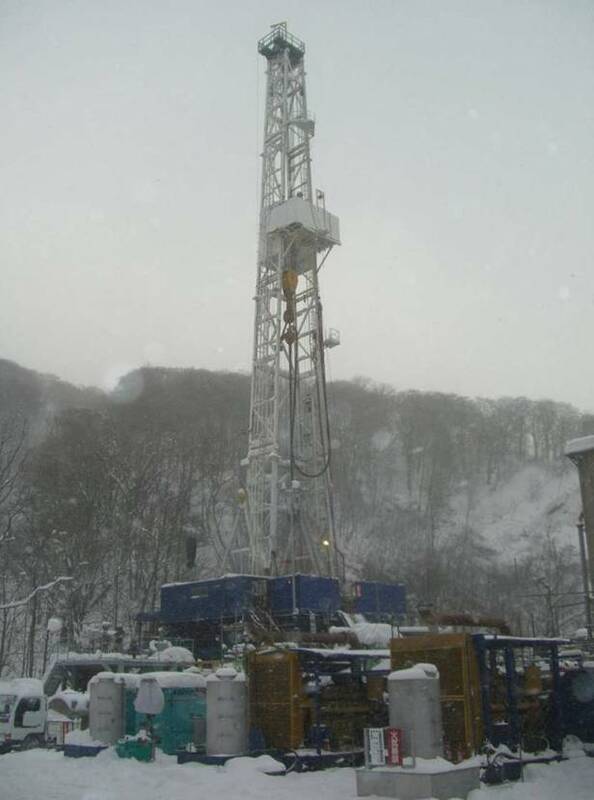 Since the two oil crises, the Japanese Government rapidly promoted research and development in several areas of geothermal exploration and technology throughout the 1980s. As a result, geothermal development in several areas in the Tohoku and Kyushu Districts underwent quick construction in the early 1990s, more than doubling the total capacity to the current ~534 MWe. Japan faced a deflation economy stage in the late 1990s, and the lines of incentive policies were withdrawn from geothermal energy, thus freezing the geothermal market. No new geothermal power plants have been constructed since the late 1990s, except for small-scale plants such as the Kuju Kanko Hotel of 2 MWe in 1998, the Hachijojima geothermal power plant of 3.3 MWe in 1999, the Hatchobaru geothermal binary power plant of 2 MWe in 2006, the Suginoi Hotel of 1.9 MWe in 2006 and the Kirishima geothermal binary of 0.22 MWe in 2006. It is expected that this pessimistic trend will soon change.